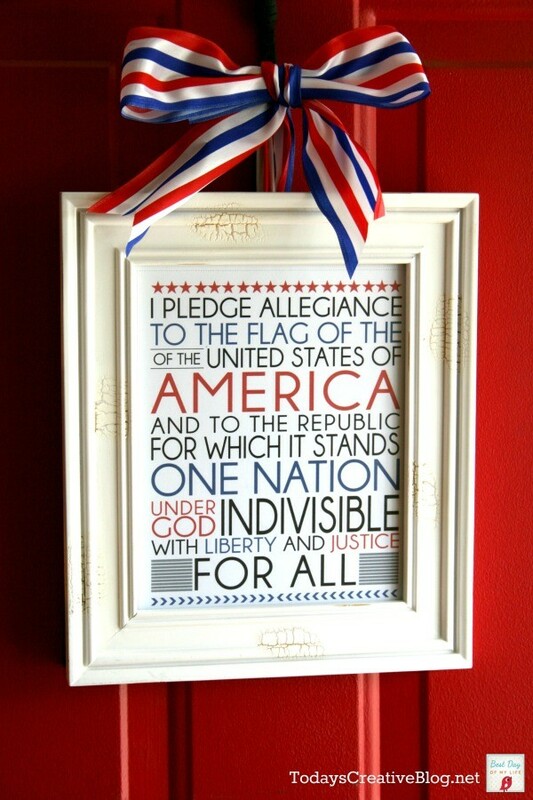 Decorating for 4th of July or any patriotic holiday is easy with these Free Patriotic Printables. 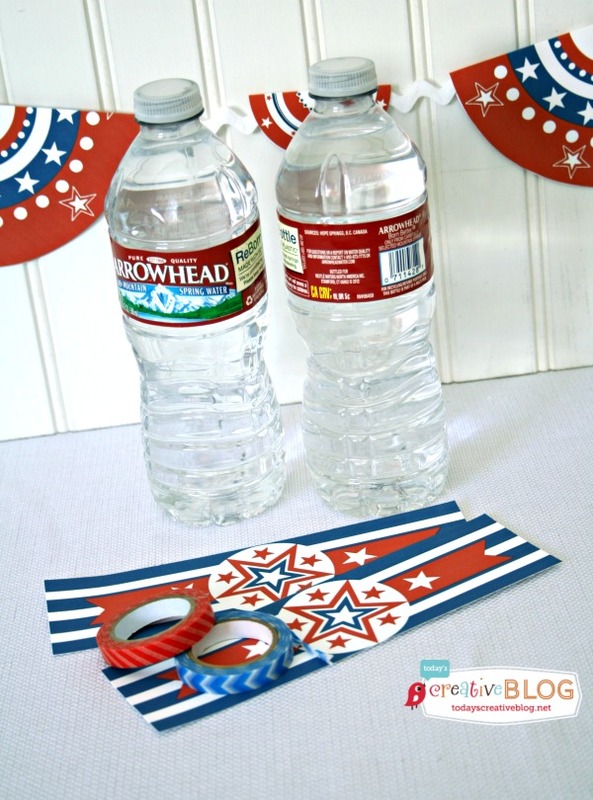 Planning a Fourth of July celebration couldn’t be more simple, festive and fun when you print out these Red, White and Blue Bottle Wrappers, Banner and Patriotic Door Decor. 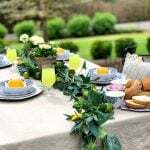 To continue a stress-free holiday, whip up these easy table centerpieces. 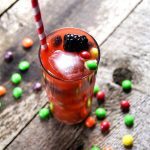 You’ll be party-ready in no time! 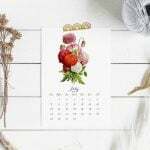 White Cardstock – you want something thicker than regular printer paper. 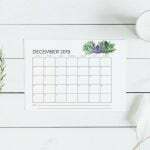 All printable downloads are offered at the end of this post. 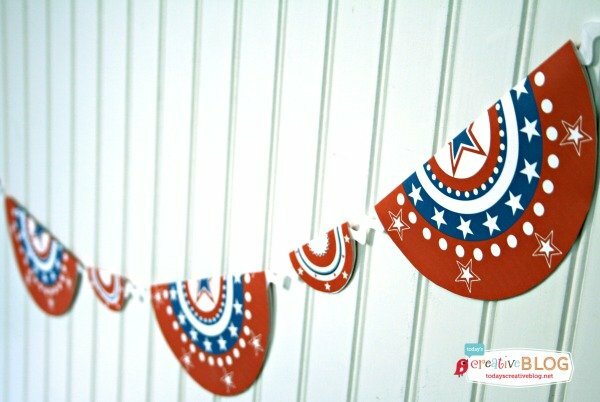 This circular bunting comes in 2 sizes. 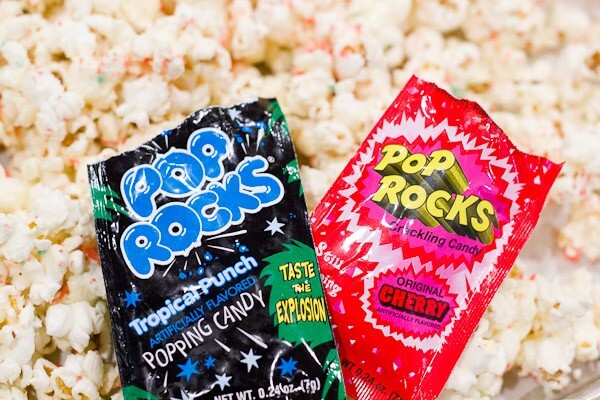 Feel free to mix them up or stick with one size. I decided to dress up mine with glitter. 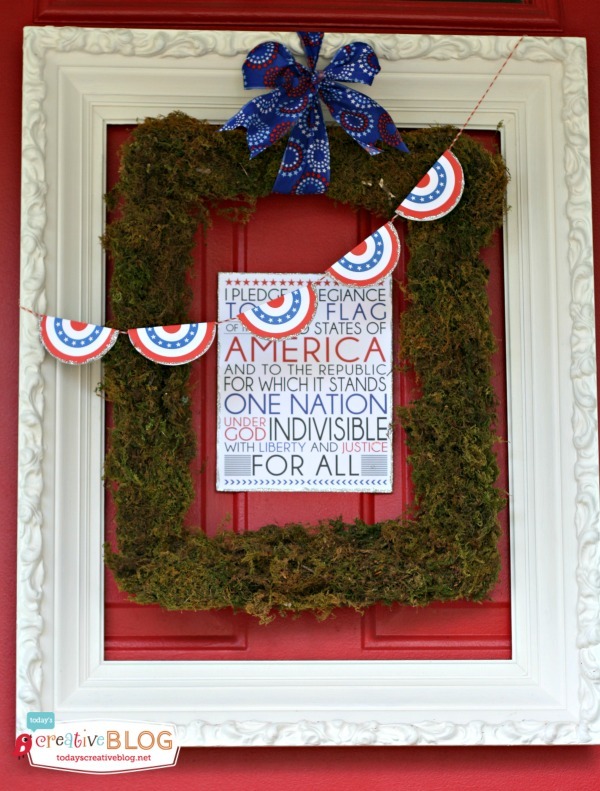 I love my patriotic door decor! 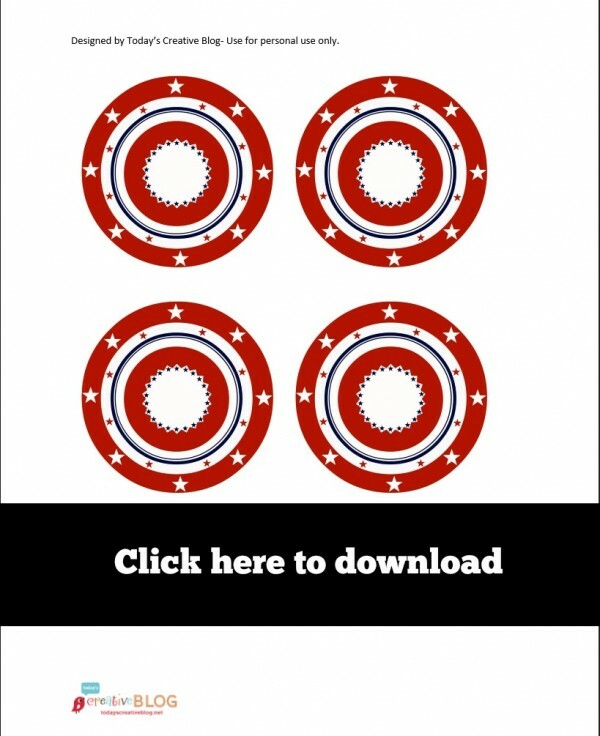 Print and cut out each circle. 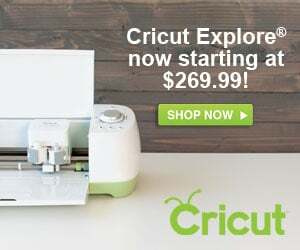 Measure and cut a piece of string to the length you need. Place the circles in a line print side down. Place the cut string over the circles right down the middle. Add a glue dot or any adhesive to each circle on the unprinted side, at the top. Start folding one side of each circle to meet the other side, aligning the edges. 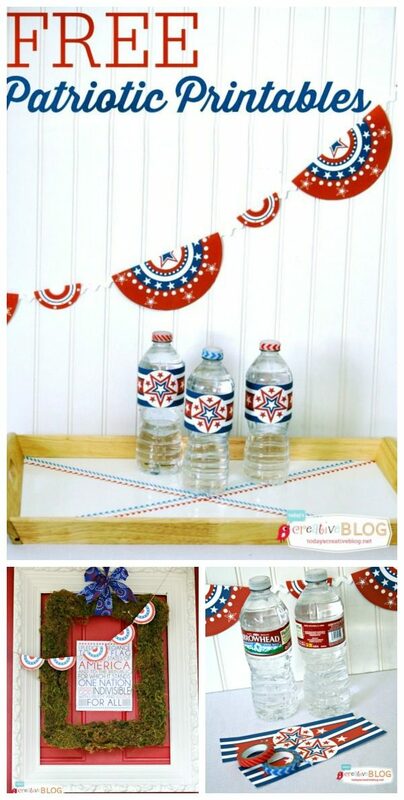 If you want to add glitter to the edges, take some glue or Mod Podge and apply a very thin line to the edges. 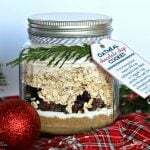 Sprinkle immediately with glitter. 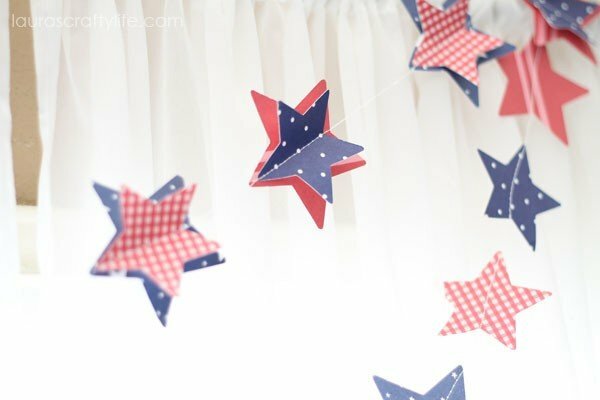 Any type of ribbon, ric-rack or bakers twine will work with your new 4th of July printables. 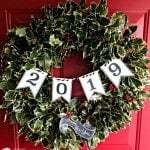 Here is one below that I mixed both sizes for a party banner to drape along a table or wall. 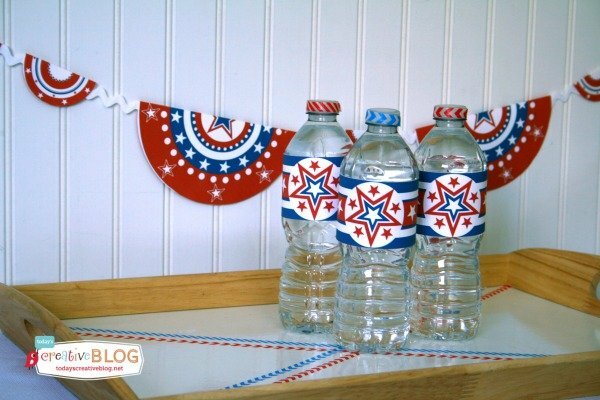 Free patriotic printables make decorating water bottles an easy way to bring charm to any gathering. 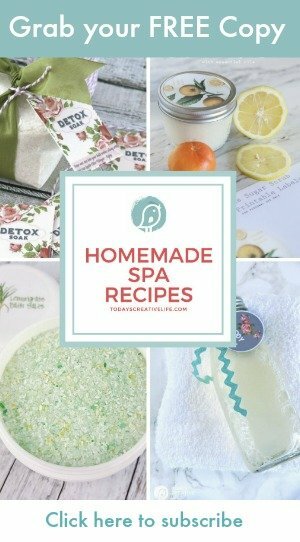 Whether you’re using pretty patterned duck tape to wrap them, like I’ve done several times, or you use a printable label, they are CUTE! People will like them. Trust me. 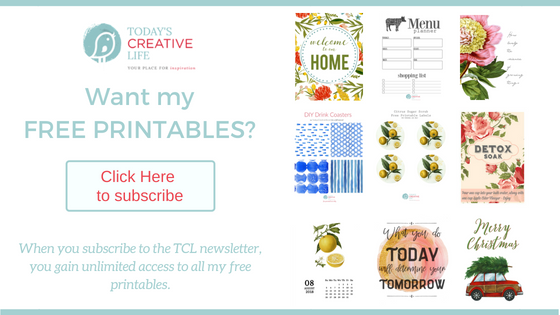 Download and print on white cardstock. 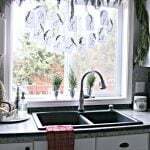 Use a paper trimmer to trim each one. Before wrapping, make sure bottles are dry. 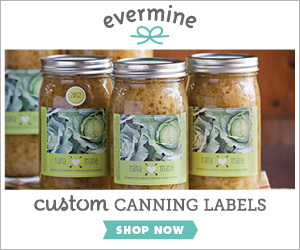 Wrap label right over the existing label and affix with tape. 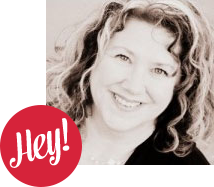 You can use a colorfully patterned tape or try a double sided tape if you want a more seamless look. I also added a strip to the lids. I couldn’t resist. 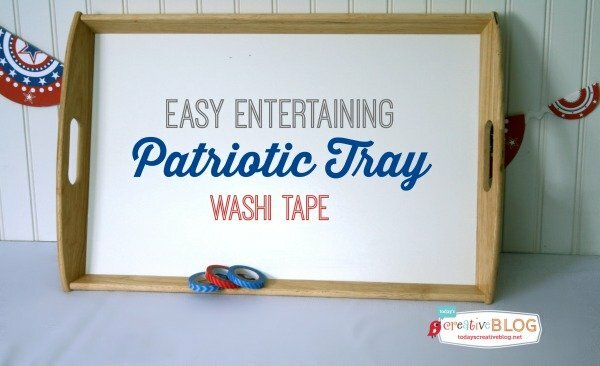 Decorating a tray that you already have it easy! 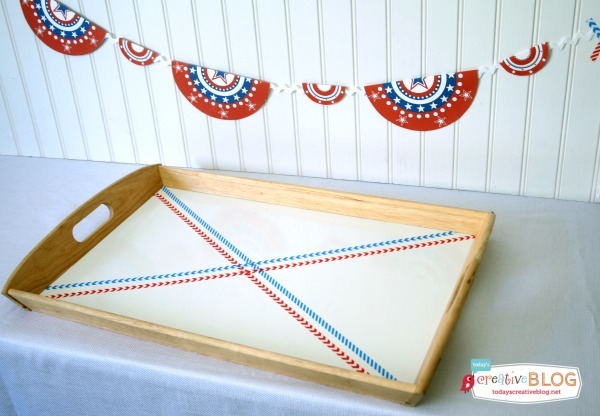 Plain Serving Tray – I found mine at Goodwill. 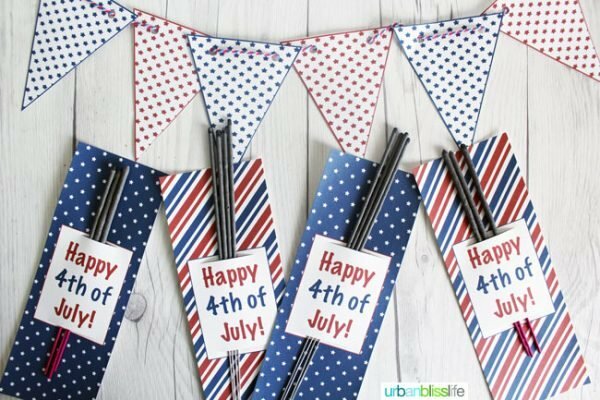 Whether it’s Fourth of July or just a birthday, you can create any design you want using decorative tape. I decided to keep it simple and create 4 lines from corner to corner. The beauty of this stuff is it peels up as easy as it sticks. No left over residue. It’s perfect for placing a bunch of wrapped water bottles on to. Simple and cute! 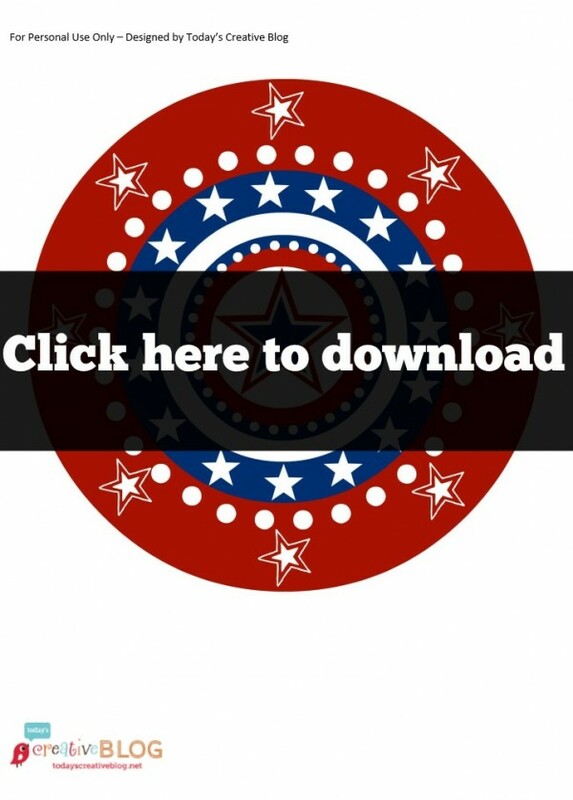 Click to be directed to your free download. 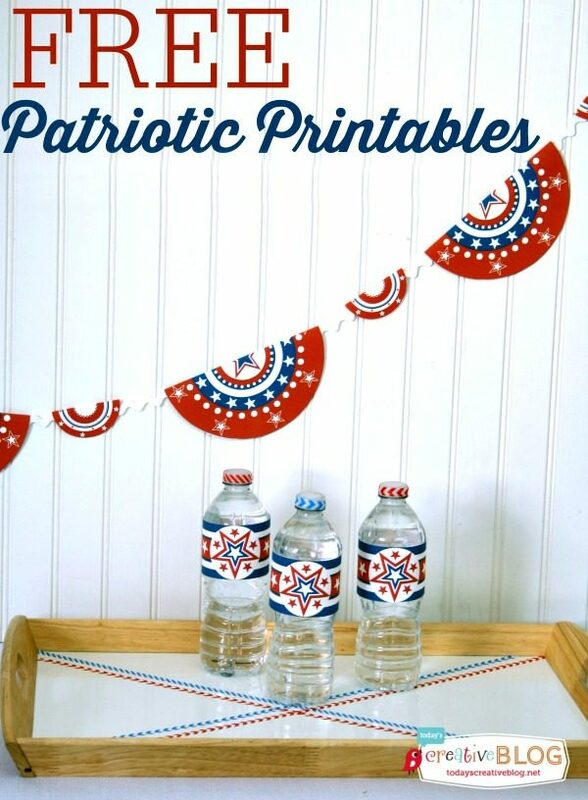 Now you have all the Red, White and Blue Patriotic Printables you’ll ever need!